The success of the Mission Store is dependent on the help and support of over 100 volunteers, serving in various roles and capacities. 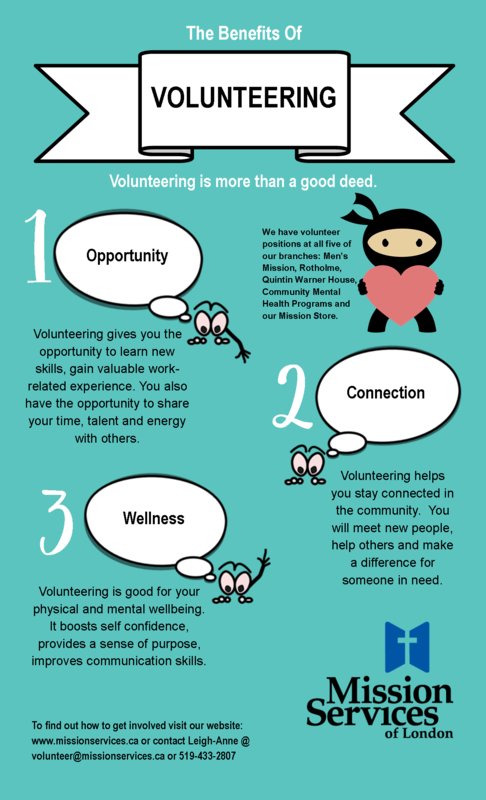 Volunteering is not the same as work. As a volunteer with us you will be part of a team of people who are passionate about helping others and giving back; but you’ll also be meeting new friends, taking on fun and exciting challenges, and staying active and healthy. We have many interesting opportunities available, and we work closely with all of our volunteers to create a flexible schedule that fits with your lifestyle – Including mornings, afternoons, evenings, or Saturdays. Do you have other skills or interests to offer? We would be happy to discuss a position to put your talents to good use! To learn more about a rewarding experience that could be in store for you, CONTACT US!